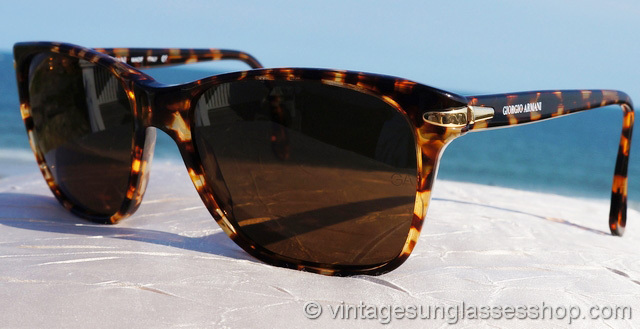 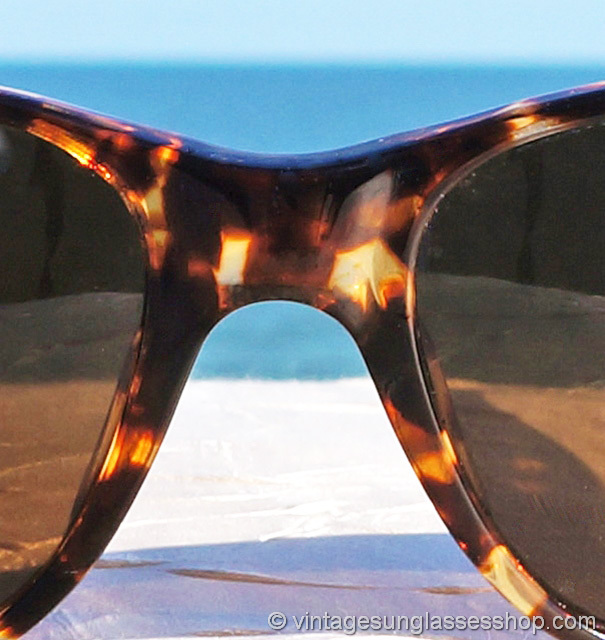 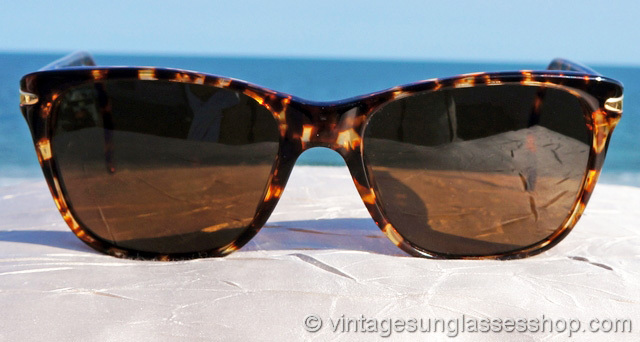 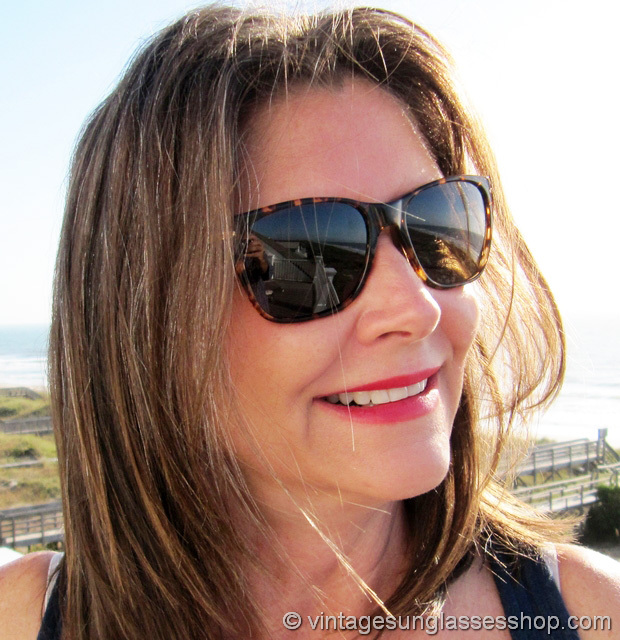 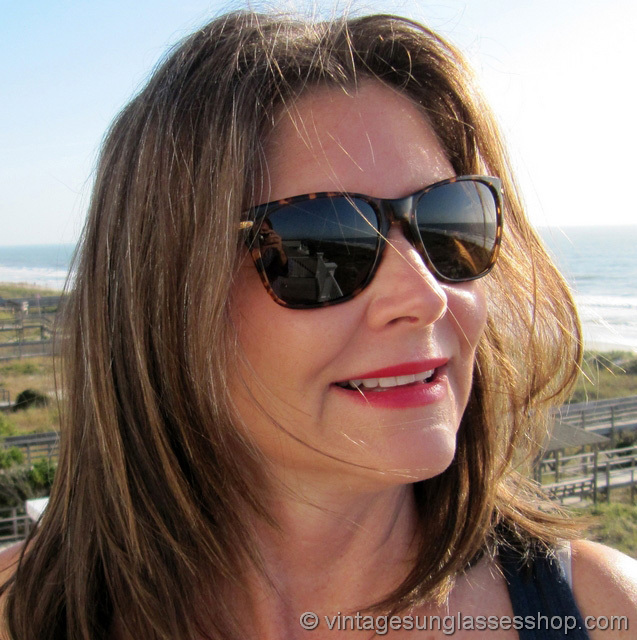 Vintage Giorgio Armani 810 092 sunglasses feature a highly translucent tortoise shell frame that really shimmers in the light and is a perfect complement for the Armani brown mineral glass lenses. 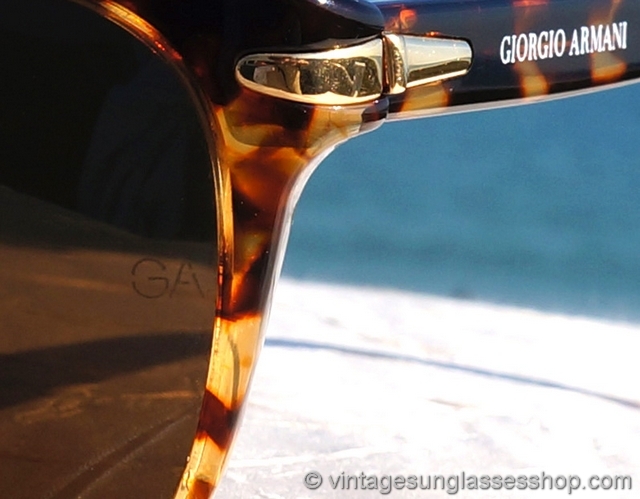 Giorgio Armani 810 sunglasses are reminiscent in size and shape to vintage Ray-Ban Wayfarers but with that typical Italian style! 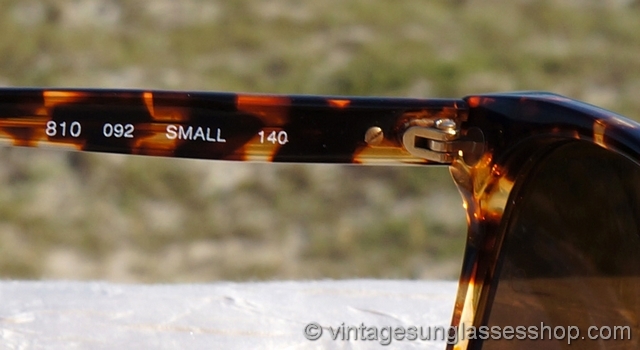 A gold metal insert decorates the corners of both temples for that final bit of design flair. 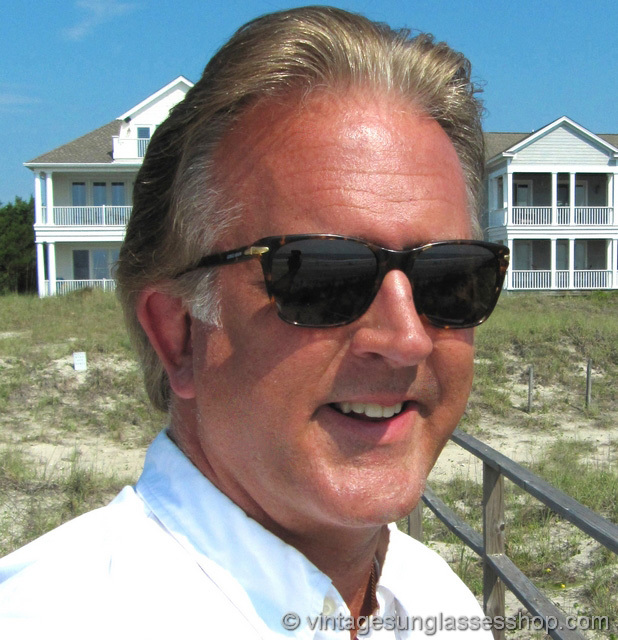 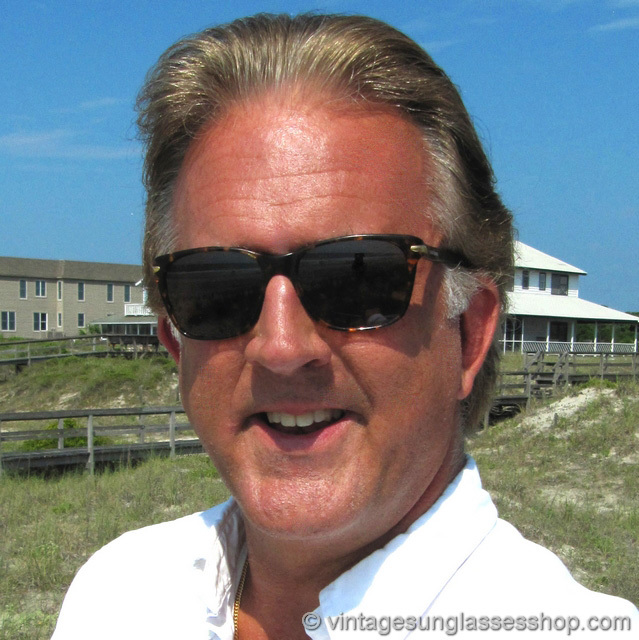 The unisex Giorgio Armani 810 frame measures approximately 5.5" temple to temple, and the lenses measure approximately 2.25" x 1.875" at the widest points with both lenses laser etched GA near the hinges. 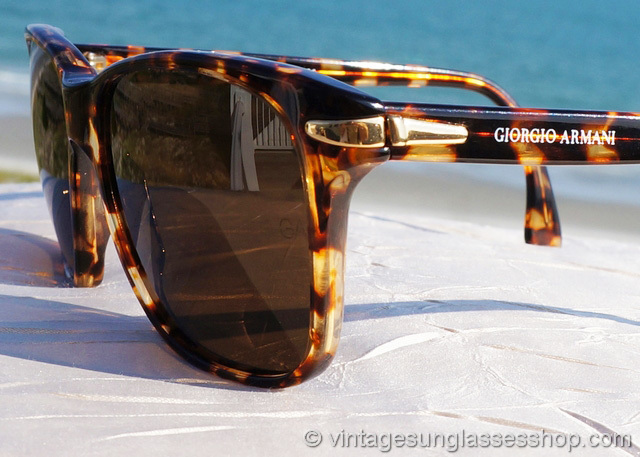 You'll find the Giorgio Armani logo embossed on the exterior of both ear stems, and the inside of one stem is marked Giorgio Armani Made in Italy CE while the inside of the other stem is marked 810 092 Small 140.